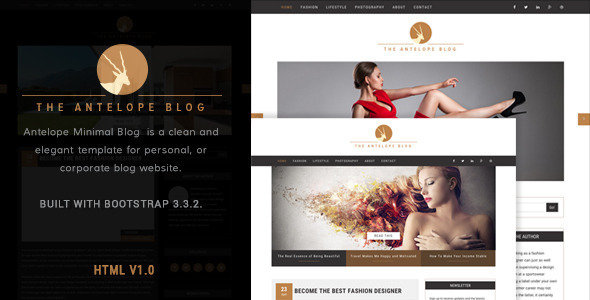 Antelope Minimal Blog Template is a clean and elegant template for personal, or corporate blog website. It is built using bootstrap 3.3.4 framework, works totally responsive, easy to customise, well commented codes and seo friendly. You can choose from two layouts available and more new layouts coming soon.